Sometimes I get a recipe idea stuck in my head, and I have to make it. For the past week or so it has been a fresh orange layer cake, pictured perfectly in my head with its sunshine-yellow hue, tart-sweet flavor, and perfect crumb. 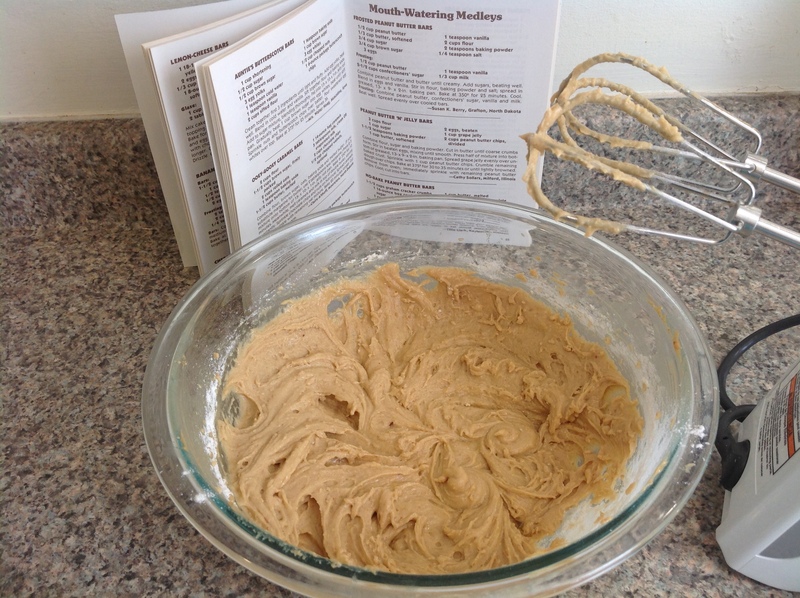 I made one several years ago, following the recipe in The Cake Mix Doctor book. 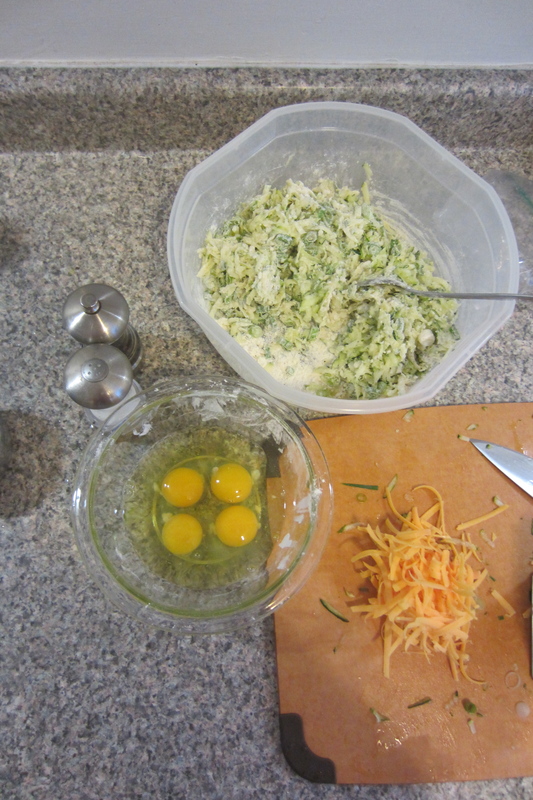 You start with a cake mix and “doctor” it up by adding fresh orange juice, zest and the usual eggs and such. I remember that cake fondly and somehow the memory of its deliciousness came back to bug me and wouldn’t leave me alone. Maybe it was because I had three oranges sitting in my fruit drawer, or maybe it was because I had leftover (bottled) orange juice sitting in my fridge, and since I don’t drink OJ these days, it felt like a challenge to use it up. I ignored the idea for a while mainly because making a layer cake without a real occasion such as a birthday or a party seemed a little extravagant, plus there’s the fact that then there would be a whole cake in the house to eat and I wasn’t even sure if Sam would eat some. I even asked my neighbor, who loves sweets, if she would eat some and she declined. This past weekend, I finally gave in, deciding to make a smaller batch. The thing is I really wanted a layer cake – not a single layer, not a square cake, a layer cake. What I love about layer cakes is the ratio of cake to frosting or filling, all perfectly portioned out so you can have the perfect bite. So how do you make a smaller batch? You can use smaller cake pans (which I don’t have) or you can do what I did and make one single layer and cut it into thirds (or halves) and make your fraction of a layer cake. However, the flavor was also off. The cake I made had the flavor of too much baking soda and it was almost too dense to swallow. So a few days later I decided to try again, but this time I gave up on my layer cake dream and opted for a filled and frosted cupcake instead. The result: perfection. It is so satisfying to finally taste the thing that you craved, even if the original idea changed a little. The gooey center is not in fact undercooked – it’s homemade orange curd! This time of year, citrus is at its best, which makes it the perfect time to make these cupcakes. Plus if you live in a part of the country where the earth and trees are brown and barren, the ground is white with snow, or skies are gray, these bright sunny colors arrive at the perfect time of year to add some color to your winter. Preheat the oven to 375 degrees and line a cupcake pan with paper liners. 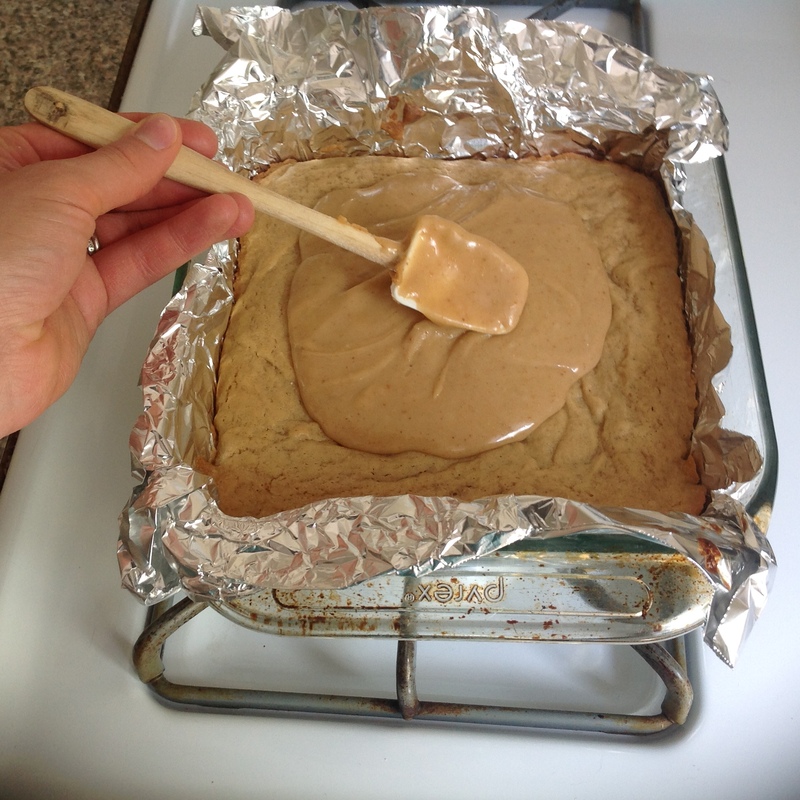 In a medium bowl, sift flour, sugar, baking powder, and salt together. Add orange zest and rub into the mixture so that the zest doesn’t clump in one spot and it infuses the dry ingredients with the orange oils. In a separate bowl, beat eggs, oil and juice until blended. 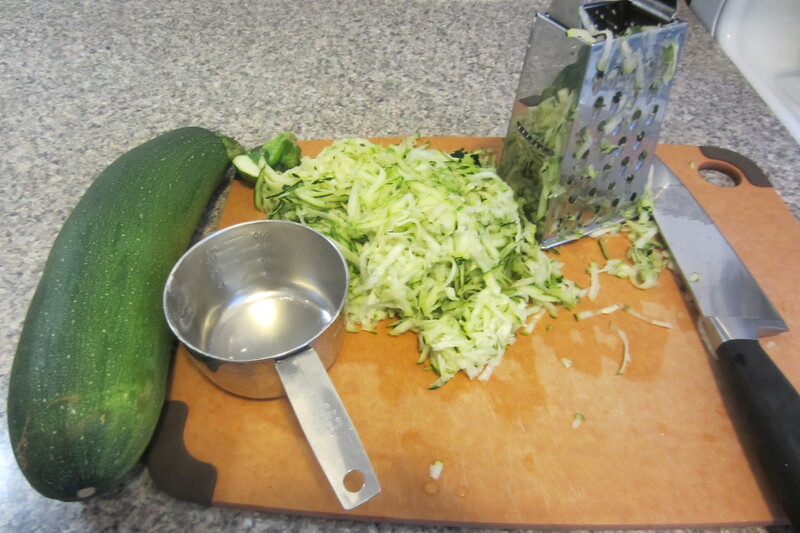 Add to dry ingredients and stir to combine, being sure to scrape the sides of the bowl with a spatula. Divide the batter between your paper liners (should make about 14), filling no more than 3/4 full. Bake in your preheated oven for 18-20 minutes or until a toothpick comes out clean. If you have a double boiler, get it out. If not, find a pot and glass bowl that fits perfectly into the top of the pot so that the bottom of the bowl does not go more than halfway down into the pot. Fill your pot with a few inches of water and bring to a boil. Make sure the bottom of the bowl is not touching the water as it boils. To the bowl add your sugar and zests and rub the zest into the sugar to release the flavor. Add the juices and whisk to blend. Turn the water down to a simmer and leave until the sugar begins to dissolve and the liquid is warmed. In a separate bowl beat your egg yolks. Once the sugar and juice mixture has warmed, gradually add some, a spoonful at a time, to your egg yolks, whisking the egg yolks as you add (you don’t need to add all of the juice mixture). Once the bowl with the egg yolks feels somewhat warm to the touch, go ahead and add the egg yolk mixture to your glass bowl with any remaining juice and return it to the simmering water. 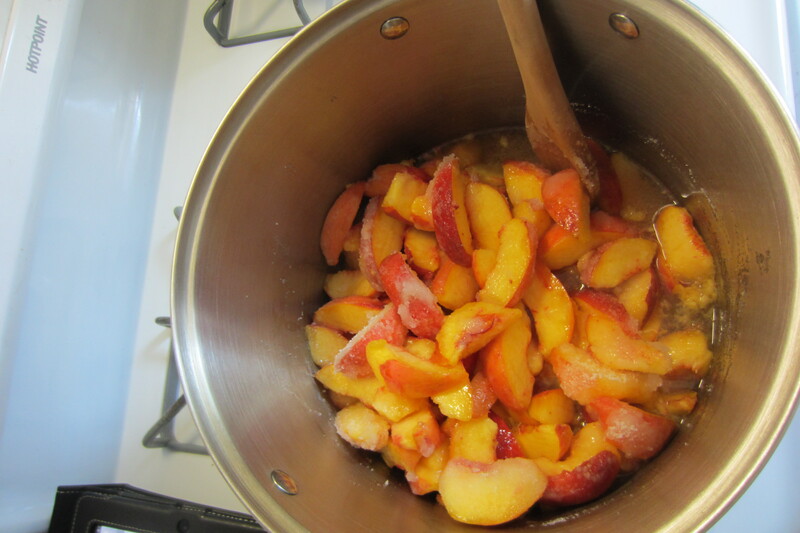 Cook the mixture until it begins to thicken and coats the back of a spoon, 5-10 minutes. 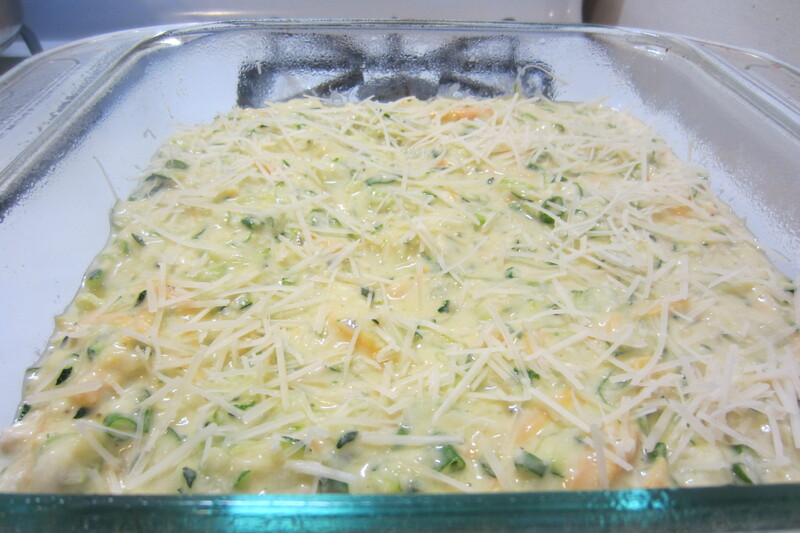 Remove from heat and add butter in small cubes, whisking to melt the butter. Taste and add a pinch salt to bring out all of the flavor. Beat the cream cheese and butter in a medium bowl until light and fluffy. Add remaining ingredients and blend on low until sugar is incorporated enough to not fly everywhere. Scrape the sides and beat until well blended. Once your cupcakes have cooled, take a small spoon and dig out a small hole in the top middle of each one, removing about 2 teaspoons of cake. 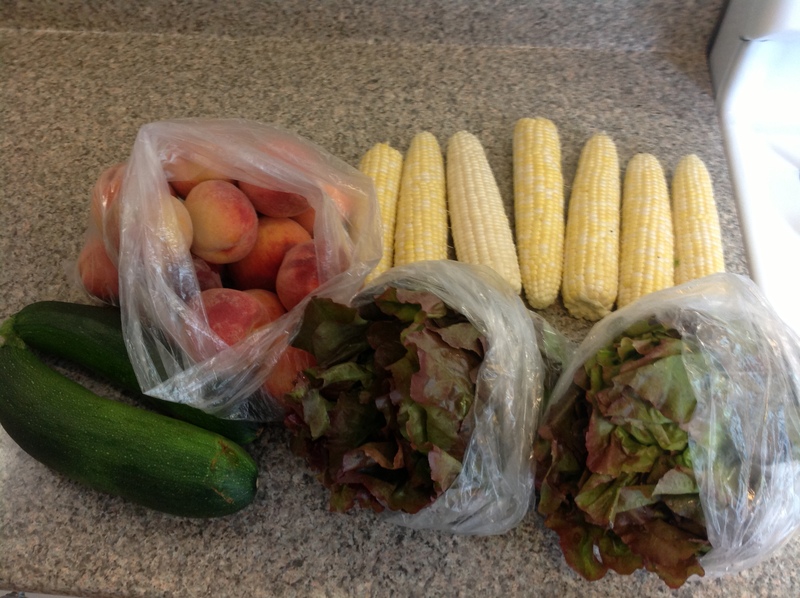 (Set aside to eat later!) Fill each hole with your cooled curd. Frost with your cream cheese frosting and decorate as desired. Enjoy! Do you ever have cookie expectations? You know, you see this delicious recipe in a magazine or a cookbook (or let’s face it – these days it’s on Pinterest!) and you have a certain idea of what it will taste like and look like. And then you make it and it’s not quite what you wanted, but it’s still a cookie. 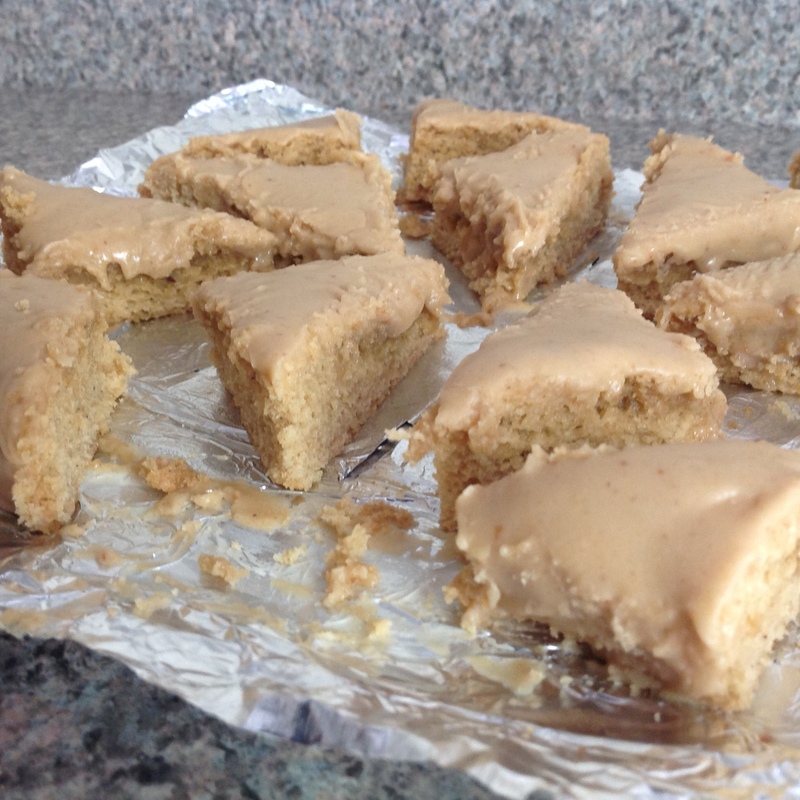 That’s kind of what happened with these peanut butter cookie bars. I mean they were sweetened peanut butter cookies with peanut butter frosting, BUT they were soft and cakey instead of hard and chewy like I was expecting. Expectations can ruin everything. I made these cookies, excited to see the results and then when I took a bite, it just wasn’t what I expected! I will admit I may have halved the recipe (though not all ingredients) and probably didn’t bake them quite long enough, so maybe I have no one to blame but myself. Nonetheless these cookies check another cookbook off my Cookbook Challenge. 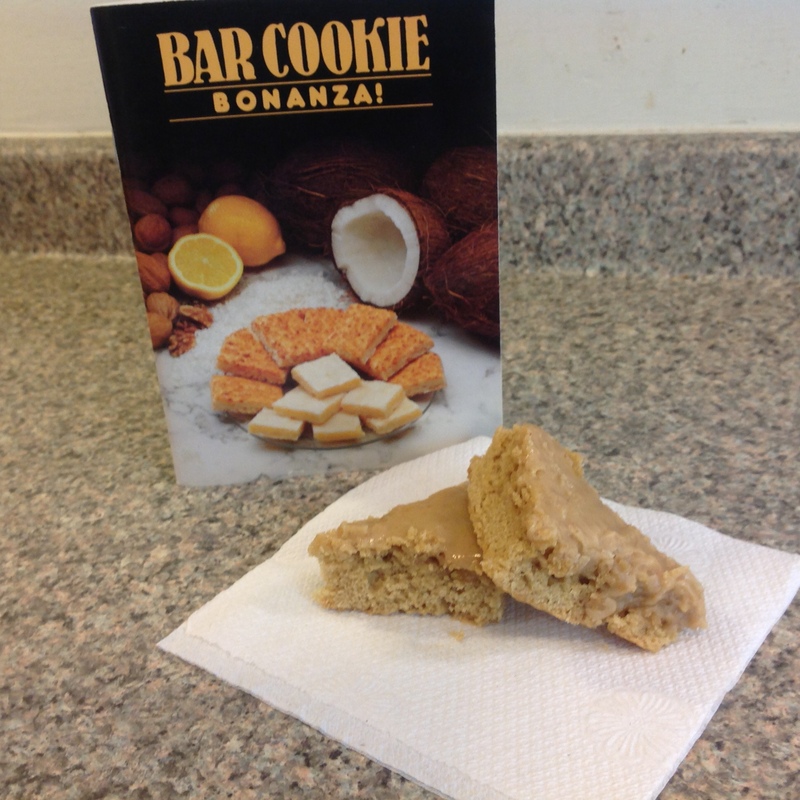 Who knows where I got this recipe booklet called Bar Cookie BONANZA! but I certainly had a hard time picking out which recipe to make. 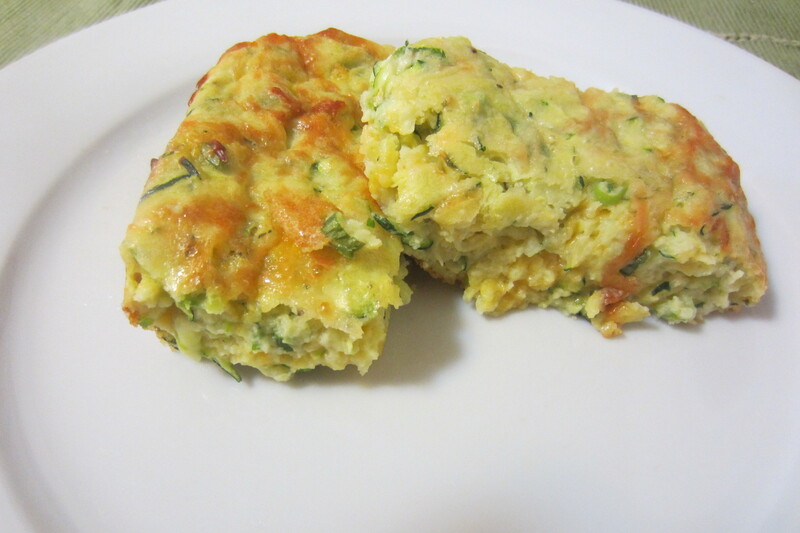 It’s an older book, the kind without all the pretty food photos enticing you to try a recipe. Instead it has simple instructions and titles that require you to actually read the pages as you’re flipping. 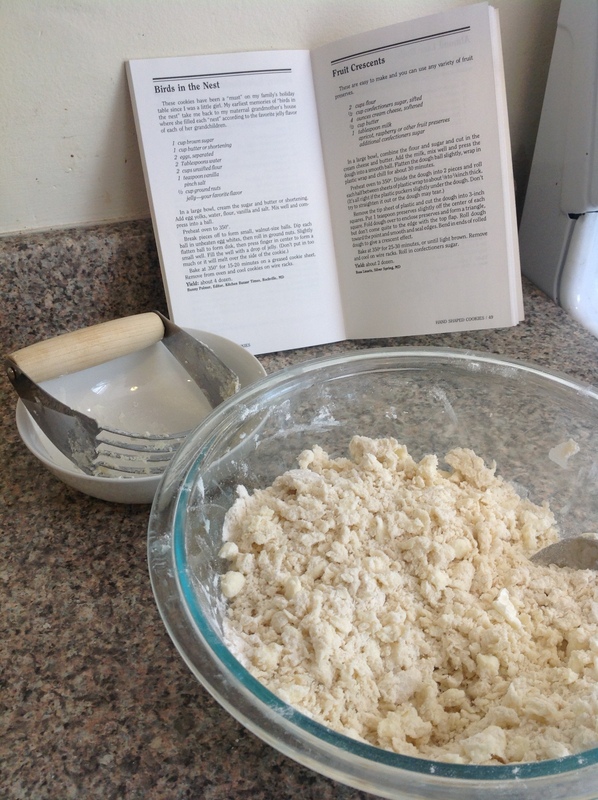 Oh reading recipes… who does that? While I was making peanut butter cookies I figured why not make a jam cookie as well to go alongside it. 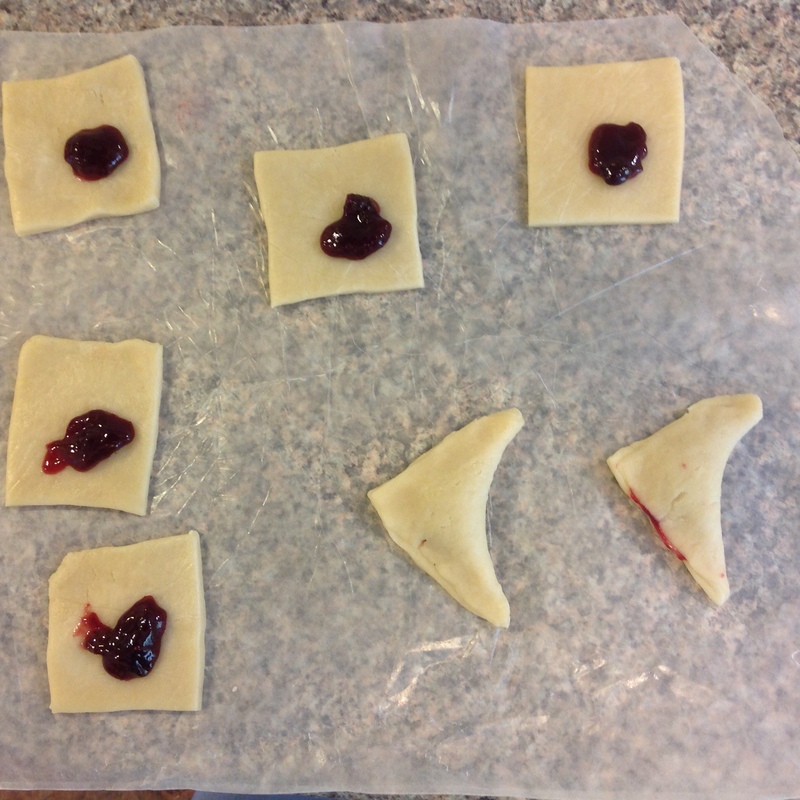 These simple Jam Crescent Cookies come from another similar cookie booklet simply called Cookies! I’m assuming these two booklets were stuck into my collection at some point in my move to Boston by my mother. Just what I need – more cookie recipes! These cookies start with what is essentially a cream cheese pie dough. It has a tiny bit of liquid and you will think no way this recipe is right, but if you use your hands you can bring this dough together. The dough is then chilled, like pie dough, to allow the fat to get cold again and then rolled out, filled with jam and sprinkled with sugar. 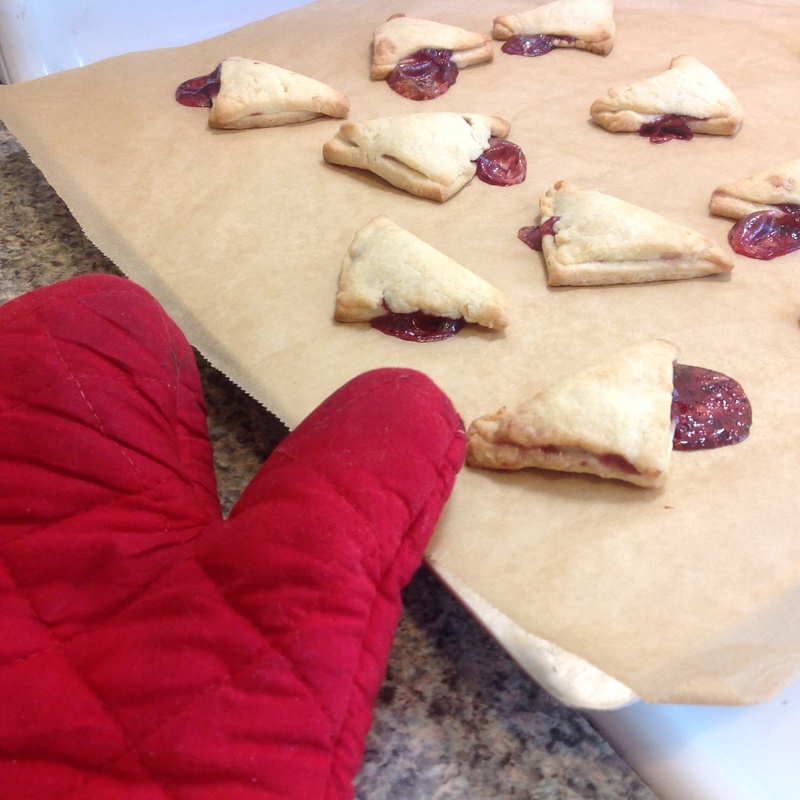 Essentially you have simple (and mini) cookie-pies or even Pop-Tarts! 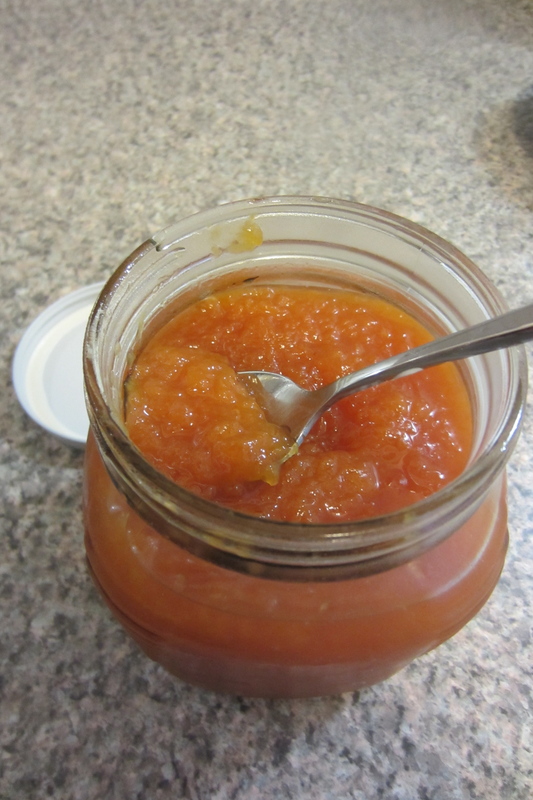 These guys can hold a lot less jam than you think. It oozes out with just a hint too much! 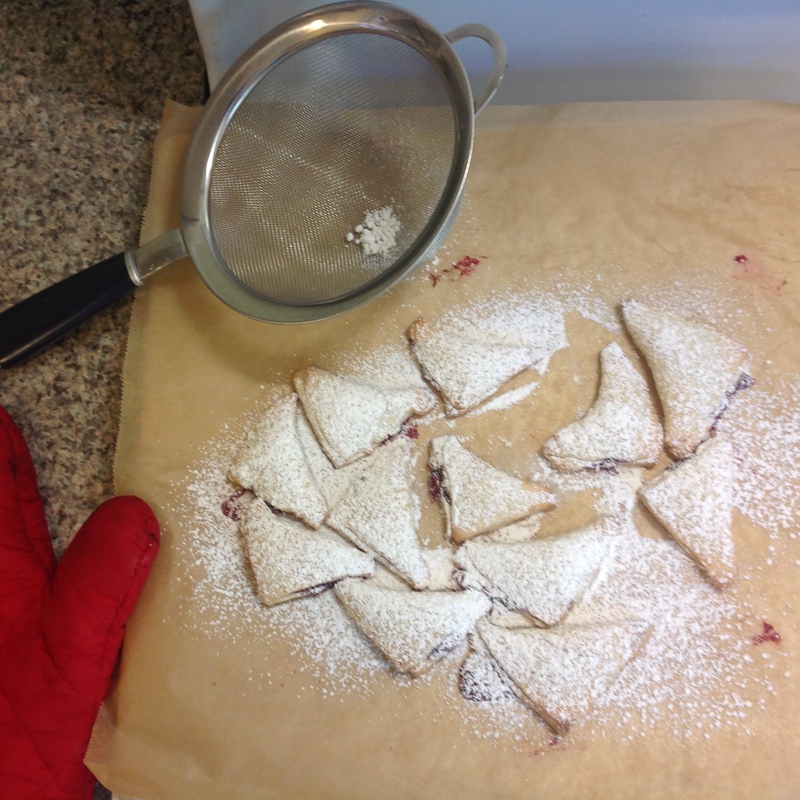 Bake them, sprinkle with powdered sugar, let cool slightly (that jam can burn your tongue – don’t say I didn’t warn you!) and enjoy! Pair with a Frosted Peanut Butter Bar and it’s like a really sweet (in both senses of the word, Sam) PB&J sandwich. Combine peanut butter and butter until creamy. 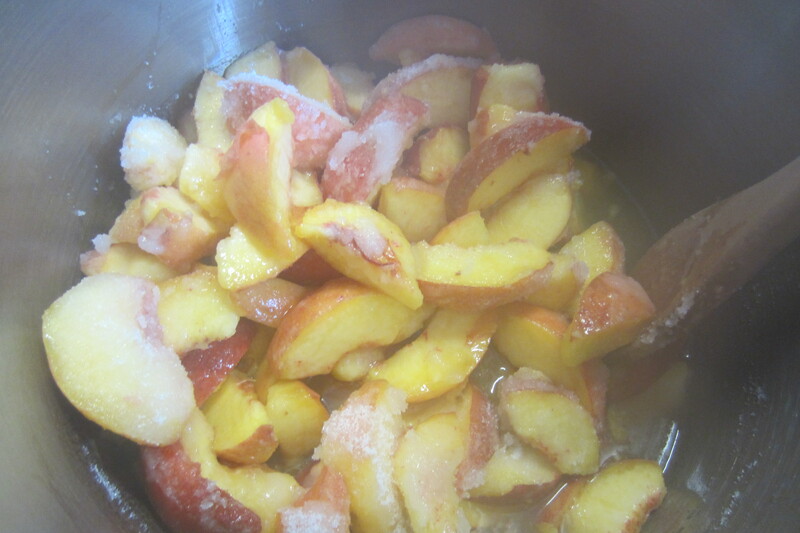 Add sugars, beating well. Blend in eggs and vanilla. Stir in flour, baking powder, and salt. Spread in a greased, 13x9x2 inch pan and bake at 350 for 25 minutes or until firm and a toothpick inserted comes out clean. Cool and frost with the recipe below. Beat all ingredients until smooth. Spread on cooled bars. In a large bowl, combine the flour and sugar and cut in the cream cheese and butter until you have coarse looking crumbs. Add the milk, mix well though do not over mix. Press the dough into a smooth ball (with your hands is best). 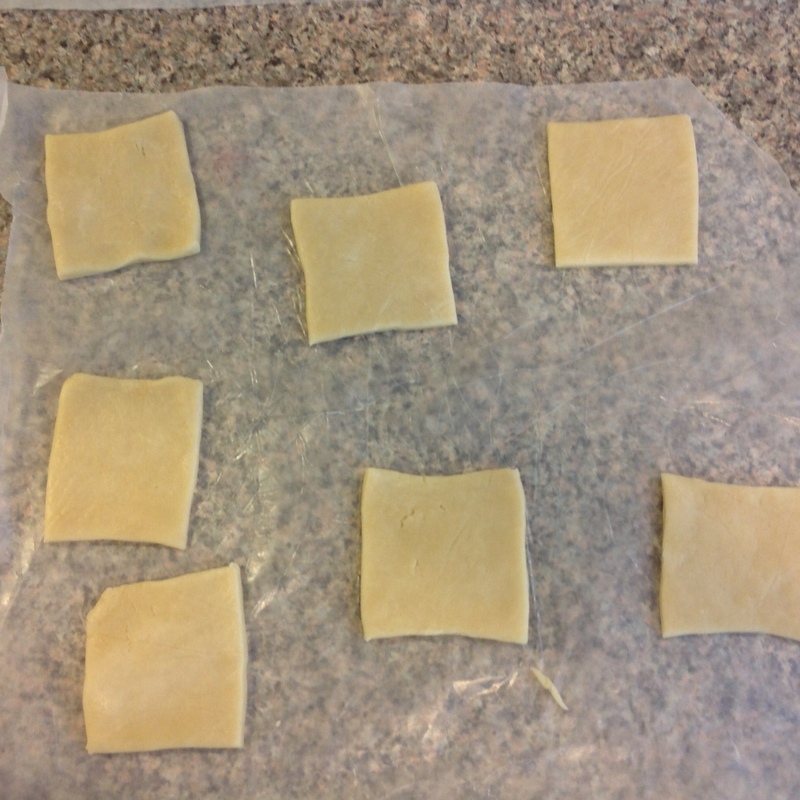 Flatten dough slightly, wrap in plastic wrap, and refrigerate for about 30 minutes. 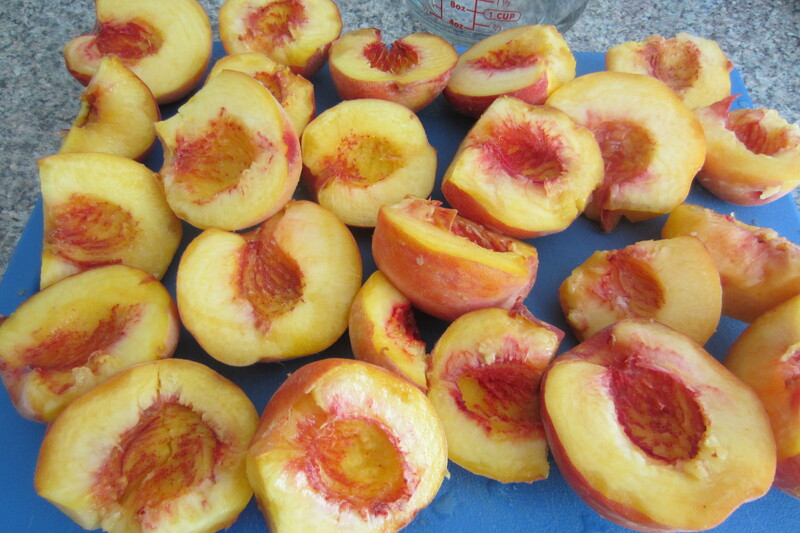 You can also refrigerate it for several hours or longer, though you make need to leave it out at room temperature for 10 minutes or so before rolling it out if you do. Bake at 350 for 25-30 minutes or until light brown. Remove and cool. Dust lightly with more powdered sugar. *Without a final photo, some of these instructions were lost on me, but I’m including them for your benefit, in case you’re smarter than I am! Today all I have for you are pictures. Savor them. 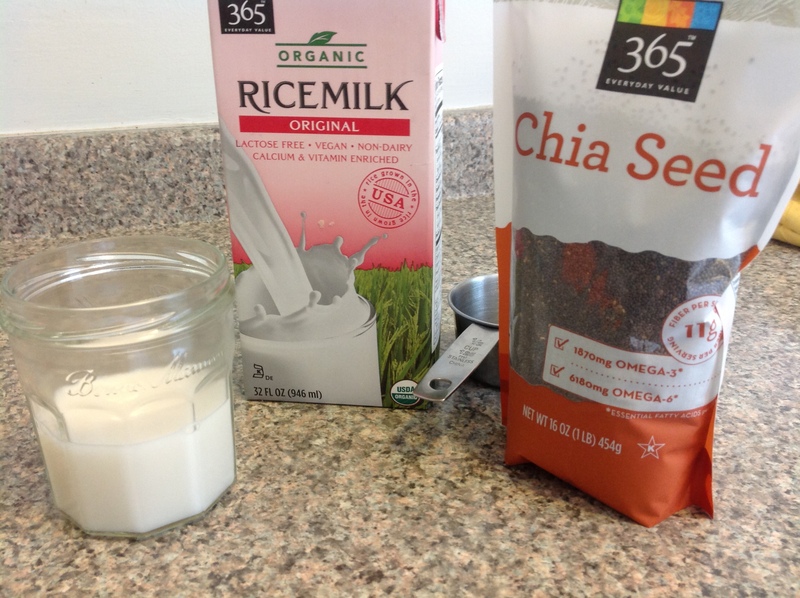 The new “super food” – chia seeds. Stir them into any liquid and they will firm up like a gel. 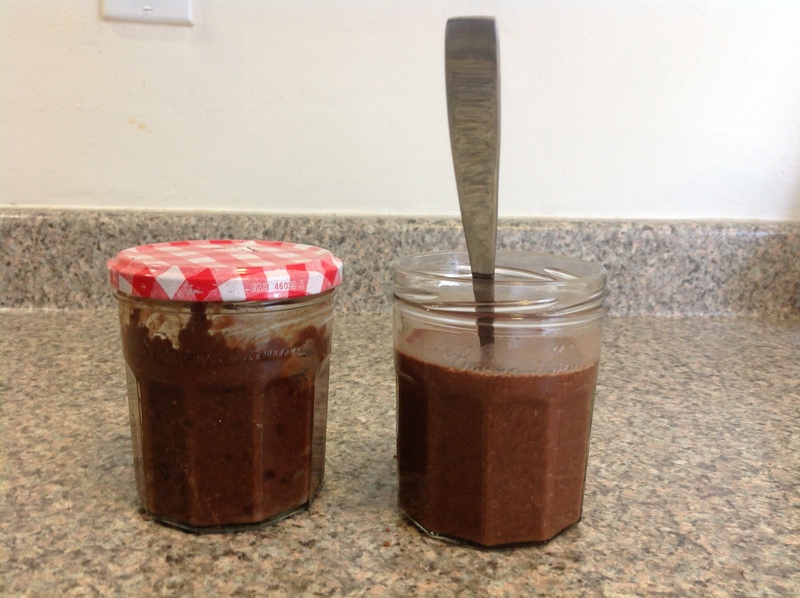 I used them to make raw, vegan pudding. Sweetened with dates and maple syrup. 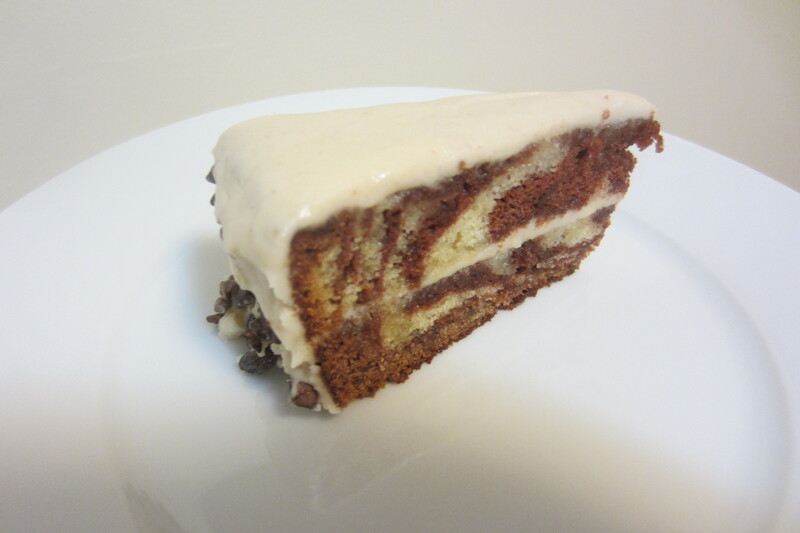 Celebrating a friend’s belated birthday is always a good excuse to make this marbled cake with browned-butter frosting and cocoa nibs. Stir into yogurt. Use as a topping for chicken. Eat it with peanut butter on toast. 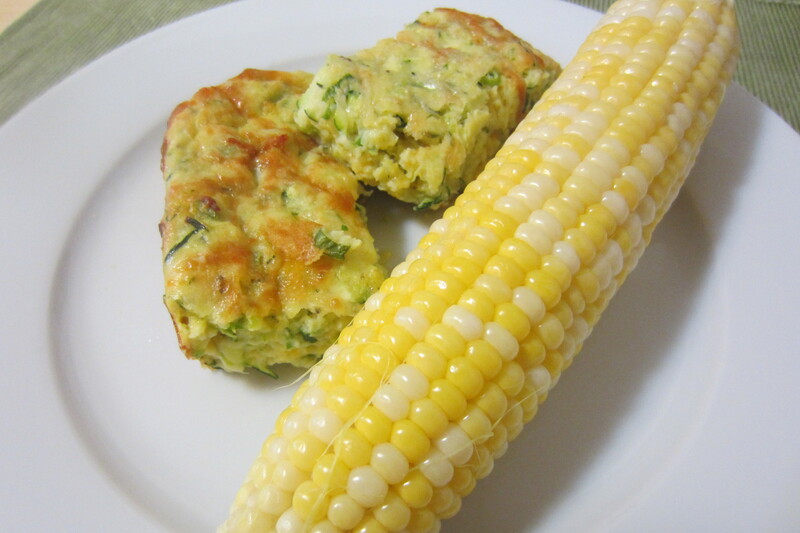 Zucchini squares and fresh corn on the cob!